It had to happen sooner or later. A new generation would turn to the old generation for communication when it counts. 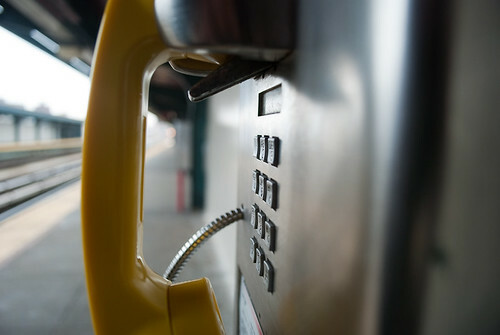 In the wake of Hurricane Sandy, the payphone is making a comeback in New York. Cellphone service is spotty, if it exists at all. And without electricity, many have been unable to keep their newfangled phones charged. The local payphone, the Wall St. Journal reports, has been their salvation, at least for those who can figure out how they work. “I lost a lot of coins,” one New Yorker said. Eventually, she figured it out. After the storm struck, people under umbrellas waited in line at some pay phones downtown Tuesday. In the rush to the wireless world, maybe it’s not such a bad idea to keep a few things wired. We still keep a wired handset for our home telephone service. At least they still work when there’s power outage.